As you know, we’ve been following the events leading up to Coachella these last couple of months and tonight the festival got underway in Indio, CA. And to continue our ongoing sensory experiments and explorations of brands doing interesting things to enhance the live and virtual concert experience, we’ve got some very chewy news for you about a special live Coachella webcast on YouTube sponsored by 5 Gum which invites fans to interact utilizing all your senses. This webcast will feature Kings of Leon, The Strokes, Duran Duran, Mumford & Sons, The National, The Black Keys, Wiz Khalifa, Chromeo and dozens of others. And for the first time this year, users can personalize their Live Coachella Webcast by visiting 5GumCoachella.com, which was launched on March 7 to celebrate the release of their two latest varieties—Prism™, an electric watermelon flavor, and Vortex™, a juicy green apple flavor. I’ve been enjoying a few packets of Prism by the way, just in case you were wondering. Yes, a truly satisfying chewing gum experience and live music seem to go together more than I realized. What’s In It For the Fans? I was wondering the same thing. 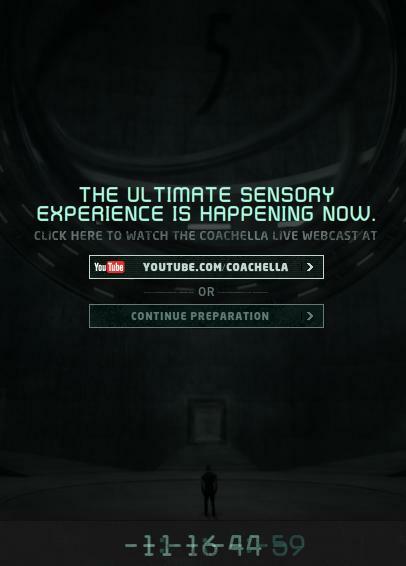 And we’re told that by participating in the five sensory experiments housed on 5GumCoachella.com, users can enter shout-outs which will be streamed to their Facebook friends during the Coachella viewing event on YouTube.com/Coachella. I entered a few of my own when I tested out the experience earlier today. How was the 5 Gum online experience? 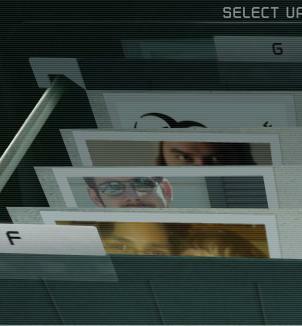 Yes, I did take a stroll through the online experience and overall it was pretty fun playing the games and seeing how they integrated my Facebook friends into the games via the file folder in the photo above. However, the Augmented Reality part where I was asked to put my packet of 5 Gum up to the screen to “initiate my senses” didn’t work to smoothly. It just sort of froze and nothing really that amazing happened on screen. Maybe it was a technical glitch? But for me the AR experience was kind of blah and didn’t really do anything to exciting. For now, I’ll continue to dive into the experience and play around with it. And I’ll certainly reach out the the folks at 5 Gum to see if they can tell us a bit more about the experience and how live music influenced the design and concept. How’s the live webcast going so far? For sure, I’ll check out the live shows this weekend since I won’t be at Coachella this year. And so far it was great watching Ozomatli earlier today, because while we were at SXSW 2011 just a few weeks ago, we had the pleasure of hearing their bassist Will Odam talk about his sobriety and how his journey has impacted the band’s live performance. It’s always a bonus to hear an artist talk about the unseen emotional elements of their show and then get to actually see them perform just a few weeks later. And I watched Ozomatli’s show with a big smile knowing what exactly going on in their minds and hearts while they all rocked out and bounced around the stage. You can watch the live webcast on April 15, 16 and 17 at www.YouTube.com/Coachella to watch live, archived performances and exclusive highlights from Coachella. If you’re at Coachella and participated in the 5 Gum experience let us know how it went and what you thought of it. And of course, do share your favorite live Coachella experience in the comments below. Rock on, my friends. Rock on!